Japan might be one of the most modern and developed countries on the planet, but that doesn’t mean that the old ways and traditions have been completely erased from Japanese culture. 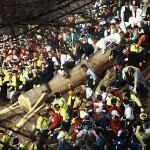 Many Japanese cherish their cultural heritage, and some of the are sticklers for traditions. The tea ceremony is one of the best examples of surviving cultural practices that are still very much in vogue today, and not only among the elderly, as some might think! The tea ceremony, also known as the Way of Tea, is not just a chance to sip tea and nibble on snacks, but it is a whole cultural experience that has risen to the rank of art. 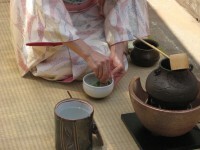 Here’s a traveler’s guide to Japanese tea ceremonies, should you want to attend one while in Japan. 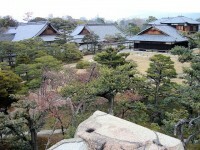 Most people have heard about bushido, the way of the samurai, a code of conduct and a way of life. Well, the way of the samurai might be famous, but Japanese culture has other such ‘ways’, and the way of tea is one of them. Chanoyu (literally the way of tea) is a ceremonial preparation and consumption of tea, heavily influenced by Zen Buddhism. 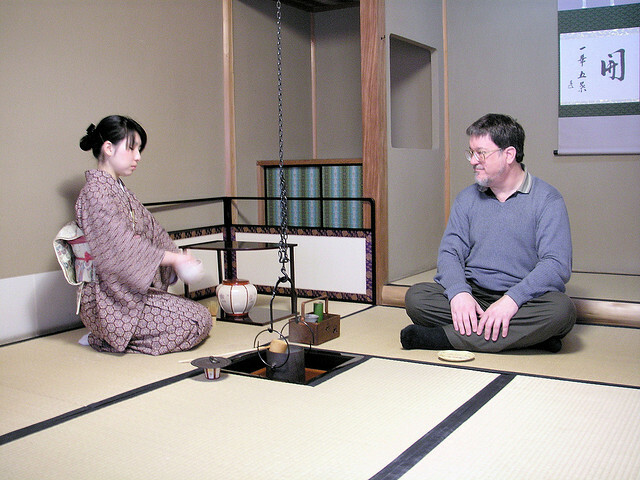 Tea ceremonies have been performed in Japan since the 12th century, when it was introduced by a Buddhist monk. The ceremony developed its own set of values and aesthetics, and focused on inner spiritual calm and traditional values like humility, simplicity, and naturalism. This tea ceremony aesthetic is called the ‘wabi-sabi’, a world view according to which beauty should be imperfect, which is why the instruments used in tea ceremonies have that special weathered look. Tools and equipment used in tea ceremonies might look simple and rough to the untrained eye, but they can be extremely expensive, fragile, and endowed with a delicate beauty. 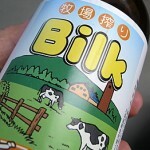 The essential tools are the chakin, chawan, natsume, chashaku, and chasen. 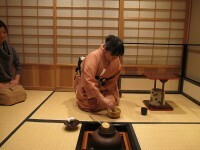 The chakin is a rectangular cloth used mainly for wiping the tea bowl. Chawan are the tea bowl, and they can be of varying sizes and colors, and many of them are precious antiques that must be handled carefully. Natsume is the rectangular container in which the powdered tea (matcha) is put during the ceremony, and the tea is scooped from the natsume with the help of the chashaku, a bamboo scoop. The chasen is the whisk used to whip the hot water and tea powder into a frothy mixture. 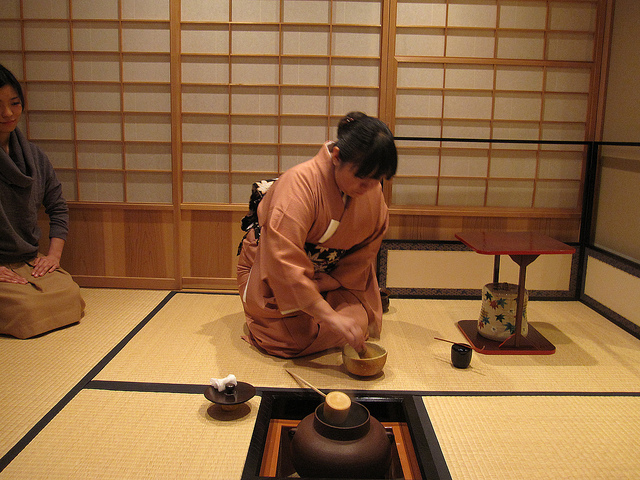 It takes year of training to become proficient in the intricate arts of the Japanese tea ceremony. There are several kinds of venues where you can attend a chanoyu, and they all contribute to the magic of the ceremony. Chashitsu are purpose built free standing houses where tea ceremonies are performed, and they are always built in the wabi-sabi aesthetic. In Tokyo, Imperial Hotel, Hotel Okura, Hotel New Otani and Happoen organize tea ceremonies in English for visitors, but you don’t really need to speak Japanese to be part of a chanoyu as long as you know the etiquette, since there isn’t much speaking involved.